When you're born into the Allman Brothers Band's family, its only natural for the blues to course through your veins. For 19-year-old Derek Trucks, the blues is his religious mantra, albeit with a few twists and turns reminiscent of his heritage. Derek is the nephew of Butch Trucks, long-time drummer for the Allman Brothers Band, with whom he performs in the side-project Frogwings. The group also includes Allman Brothers Band members Oteil Burbridge and Marc Quinones, Blues Traveler frontman John Popper, and Jazz is Dead guitarist Jimmy Herring. In addition, Trucks has also performed on stage with the likes of Bob Dylan, Buddy Guy, Widespread Panic, and Joe Satriani. That's quite a list of accomplishments for someone so young, and this summer, things are about to get even better. When guitarist Jack Pearson became ill last year, Trucks stepped up to the plate and replaced him in the Allman Brothers' line-up. When Pearson decided to leave the band this year, it was Trucks who was called upon to join the group for its 30th Anniversary tour. Somehow, in the middle of such a hectic schedule, he also found the time to record and release his second album Out of the Madness. It's a remarkable effort, and after listening to the music on this disc, one wouldn't guess that it sprang from someone so young. It's true that Trucks is still searching for his own niche, and for this album he chose to more fully explore the blues. In fact, Out of the Madness is crammed with Trucks' meaty renditions of blues standards from Sonny Boy Williamson, Howlin' Wolf, and Son House. 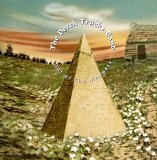 Behind the vocals of Warren Haynes and Matt Tutor, Trucks' guitar screams with a powerful and relentless force that seems to draw from an older, wiser spirit. The best blues track on Out of the Madness is a cover of Bobby Blue Bland's Ain't that Lovin' You. Labelmate Larry McCray turns in an outstanding vocal outing that lifts the intensity of the performance to a new level. Trucks completes Out of the Madness with a series of mind-blowing instrumental selections, and these are where the sparks really begin to fly. Close friend Jimmy Herring performs guitar throughout the disc, laying down a perfect cushion for Trucks' improvisational excursions. A cover of the Meters' Look-Ka Py Py masterfully explores a funk-groove, while Trucks own composition Deltaraga fluidly melds the blues with Eastern themes. On Herring and Oteil Burbridge's Kickin' Back, Trucks and his band allow the song to float into similar dream-filled terrain as the Allman Brothers Band's In Memory of Elizabeth Reed. Though Out of the Madness is a little rough around the edges, it's an album that is full of promise. Trucks' creativity and spirit have begun to mold his influences into his own vibrant compositions. As he continues to develop his sound and his style, he surely will be a force with which to reckon. His talent already surpasses most guitarists, and he has countless years of performing and recording in front of him. Out of the Madness is also available from Barnes & Noble.